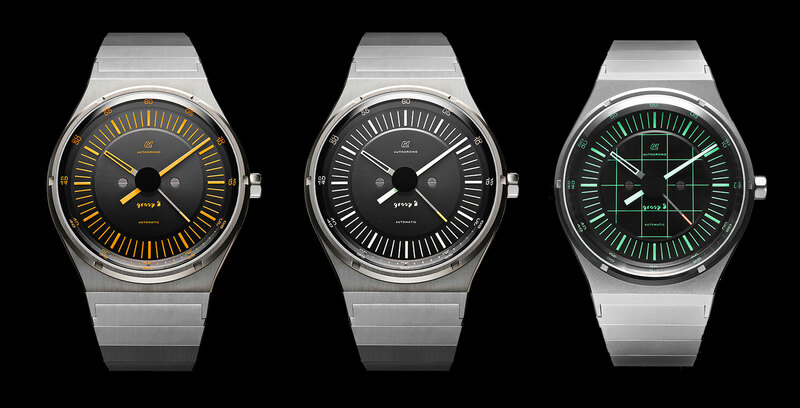 Inspired by 1970s automotive watches. 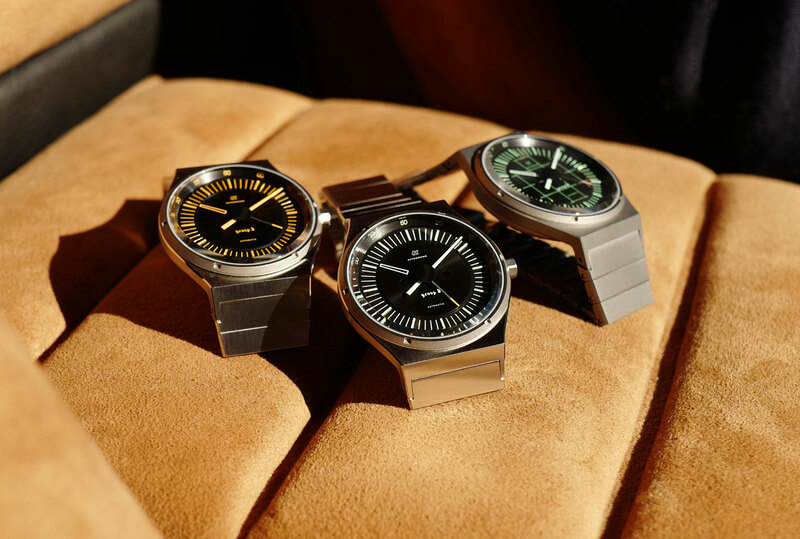 A New York-based brand that makes retro watches and sunglasses inspired by auto racing, Autodromo has just unveiled the Group B Series 2, an automatic in steel and titanium with an angular, 1970s style. 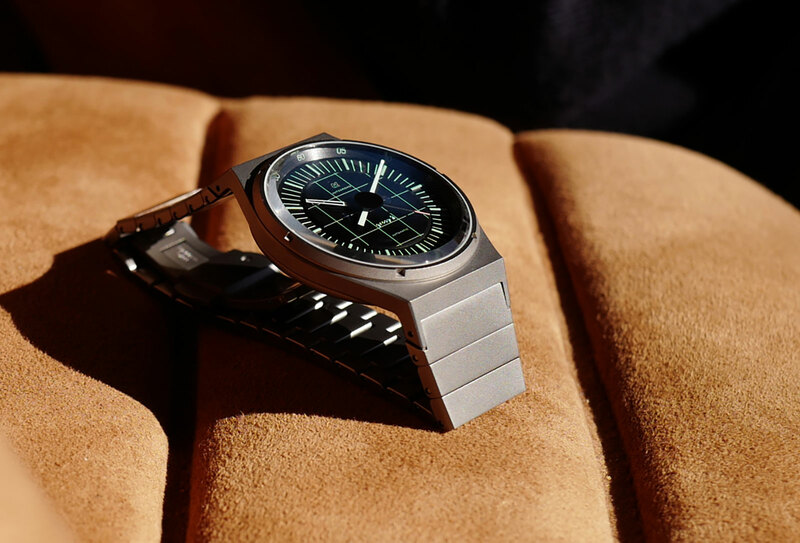 Named after the short-lived Group B class of light but powerful rally cars, which lasted from just 1982 to 1986 after several fatal crashes, the wristwatch is 39.5mm in diameter, with a “bi-metallic” construction. The movement sits in a titanium inner case that’s ringed by a steel outer case that includes the lugs. The result is a case that’s 50mm long and 9.9mm high. The Group B Series 2 is a followup to the first Group B, which was essentially identical but on a fabric strap. In contrast, the Series 2 has a steel bracelet with large links very typical of a particular era. 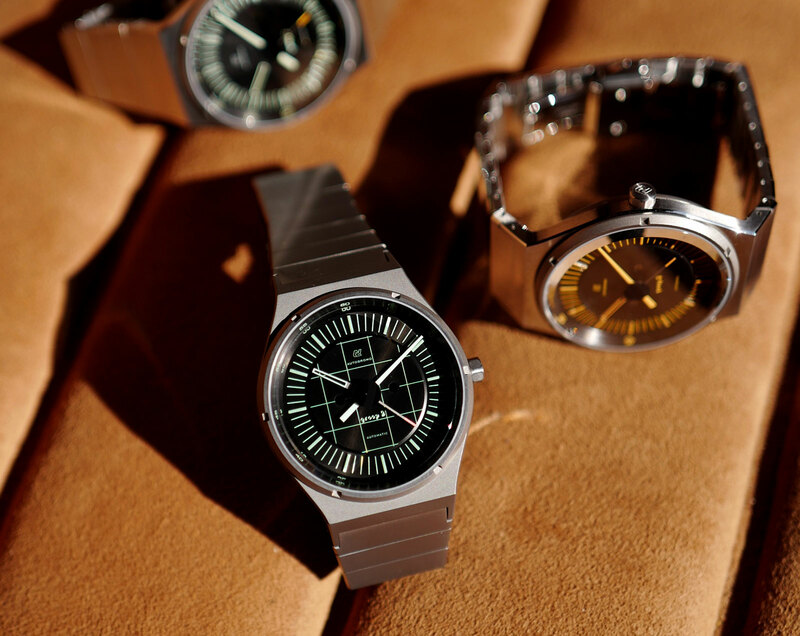 The design of the watch and bracelet is most reminiscent of the classic automotive chronographs of the 1970s and 1980s, especially those made by Orfina and IWC for Porsche Design in its heyday. Modelled on a tachometer of the Lancia 037, a 1980s rally car, the dial is available in three versions: white or orange markings, as well as the Night Stage II special edition in green. The Night Stage II is also distinguished by a sandblasted bracelet, in contrast to the brushed finish on the other two models. Inside is a Miyota 9015 automatic movement, made by a subsidiary of Citizen. More upmarket than the very cheapest movements that Miyota is best known for, the 9015 is made in Japan, and has 25 jewels and a 42 hour power reserve. The Group B Series 2 is priced at US$875 until November 11, 2018, after which it will cost US$975. It is available from Autodromo.